AMS is an ASIC (Aviation Security Identification Card) issuing body. We can promptly issue an ASIC Card to those staff requiring Australian (or approved airport specific) ASICs including white ASICs. 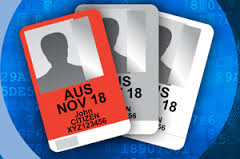 Identity documents you need will change from 01 August 2017 therefore you will need to present original Identity document in-person to the AMS ASIC issuing staff. Category D – Evidence of current residential address – (e.g. utility bill or rates notice) A Category D document is only required if categories A, B or C above do not have your current address. Applications can be lodged either at our Perth office or at Minovation Pty Ltd at Jandakot Airport who is an authorised agent under the AMS. You can apply for an ASIC using the form on this page and organise an appointment with an ASIC issuing officer via our main contact details page.